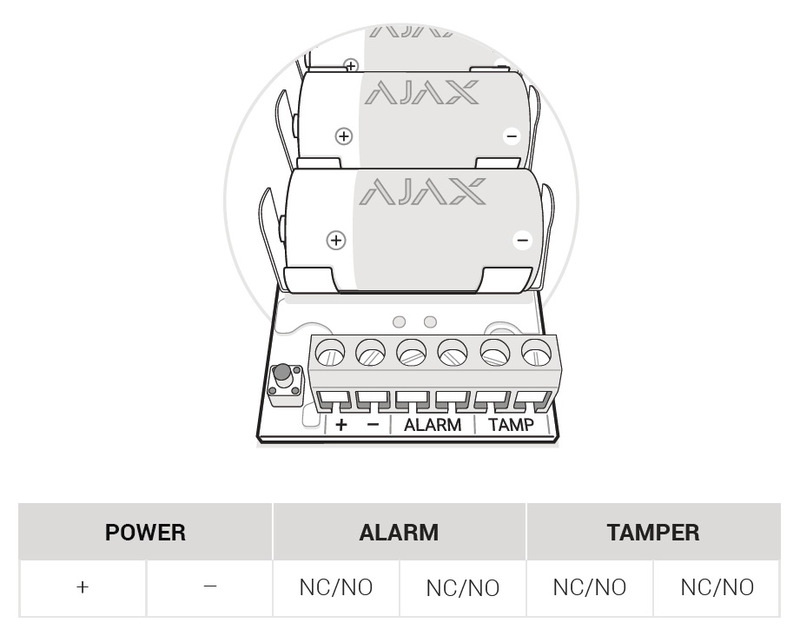 The Ajax security system includes motion detectors, glass break detector, opening, impact and tilt detectors, smoke detectors, temperature and CO detectors, flooding detector. It is sufficient for most premises protection scenarios from burglary, fire, and flooding. And when it is necessary to ensure the outdoor security or to use the detector beyond our model range, the Transmitter integration module will come in handy. Ajax Transmitter is a wireless module for connecting external devices with wire outputs to the Ajax security system. The module has an alarm and tamper inputs (NC and NO contacts are supported), there is a 3.3 V power supply for the external detector. And also any other detector and devices with NC/NO terminals. It turns external detectors into proper Ajax devices. It can be placed in a detector body. It can be installed both indoors and outdoors (in the body of an outdoor-type detector or in a sealed compartment). 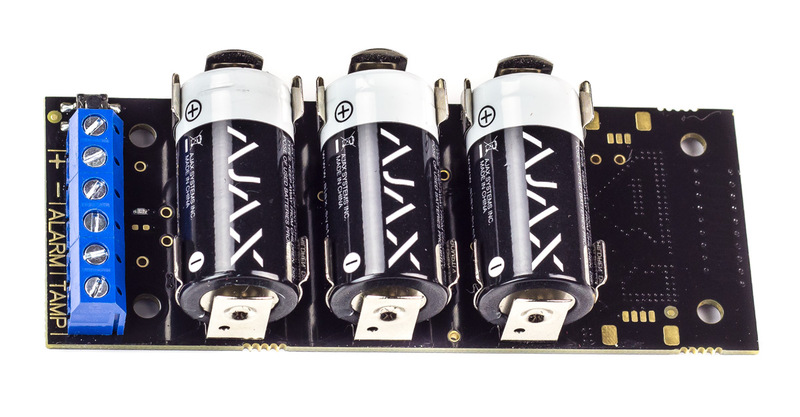 It can be used as a power supply for the connected device (3.3 V power supply). It is equipped with an accelerometer, which raises an alarm if the module is moved. It operates at +50°С to −25°С and up to 90 % humidity without condensation. The Transmitter only operates with Ajax Hub. The device does not operate with Ajax ocBridge Plus or Ajax uartBridge! Power supply is a 3.3 V power supply output for an external detector. Alarm means alarm terminals, to which NC/NO zones of an external detector is connected. 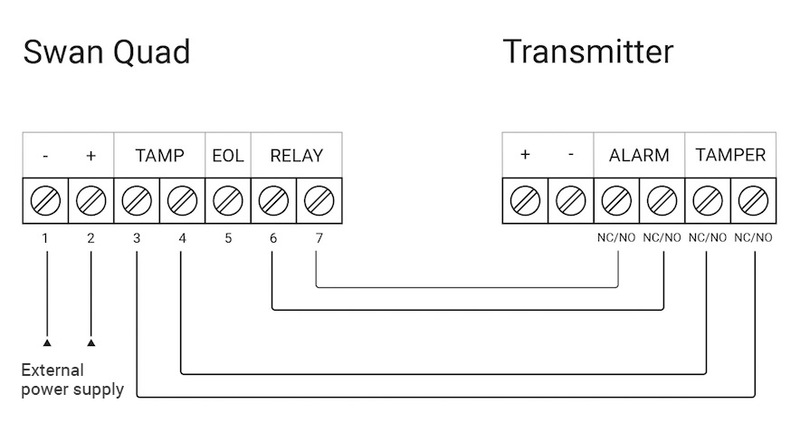 Tamper refers to tamper zones, to which tamper outputs of an external detector is connected. 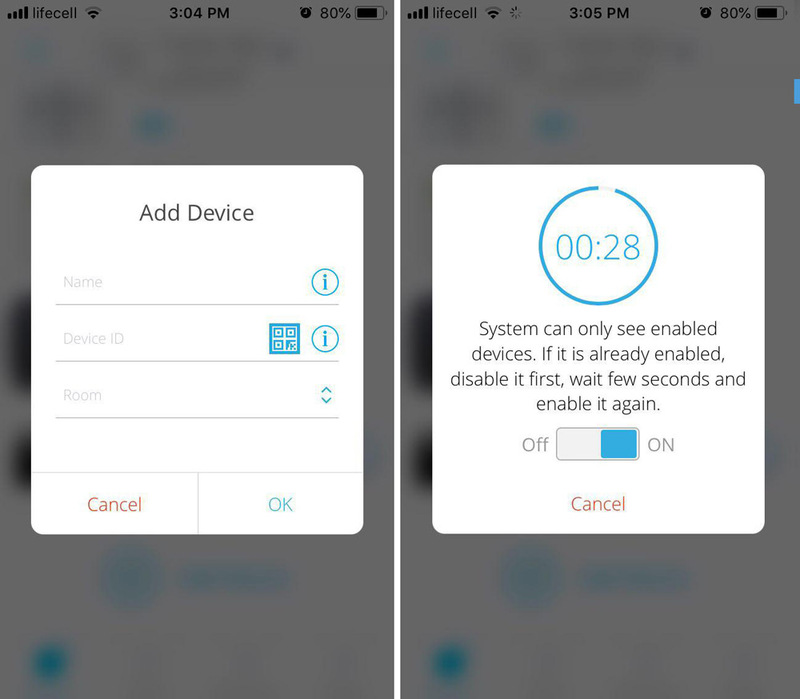 The Transmitter and the external wire detector statuses can be viewed at any time in the mobile application by selecting the Transmitter in the device list. 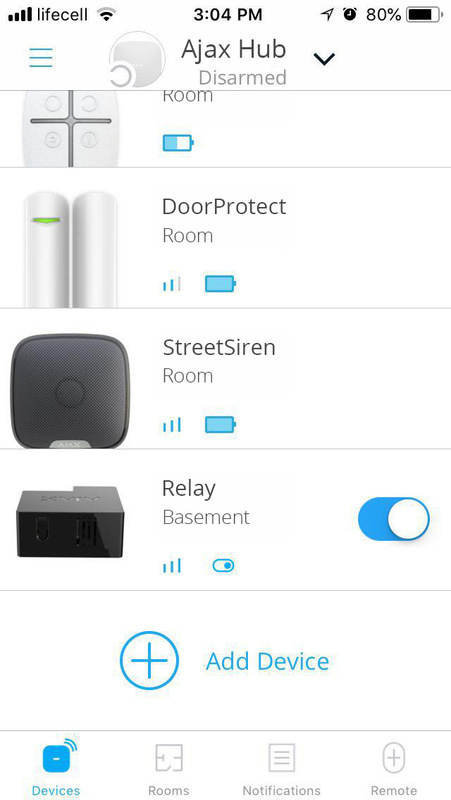 Selection of the room where the device is located. When the mode is active, the Transmitter transmits alarms even when the system is not armed. The accelerometer turning on the Transmitter to provide an alarm in the event of sensor movement. Disabled if Hub is armed. 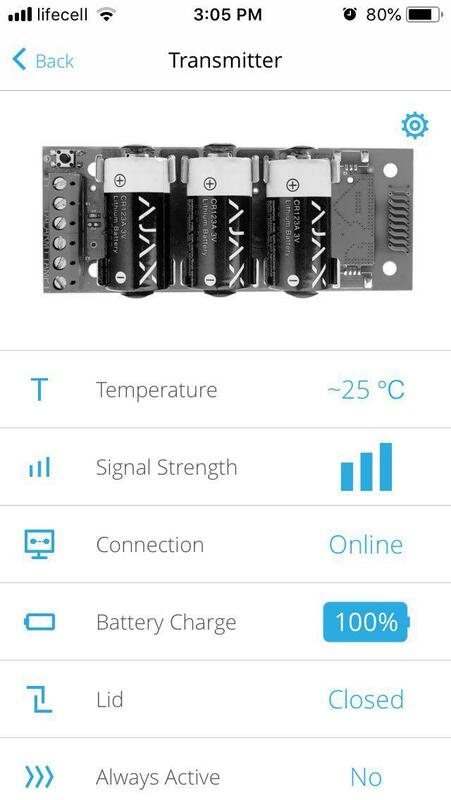 The module saves battery power by turning off the power of the external detector and does not process any signals from the ALARM terminal the system is disarmed. When the system is armed, the power supply restarts and the sensor alarms are ignored for the first 8 seconds to avoid false responses when the device is being turned on. Always disabled. The Transmitter does not consume energy to power the external detector. The ALARM terminal signals are processed both in pulsed and bistable modes. Always active. 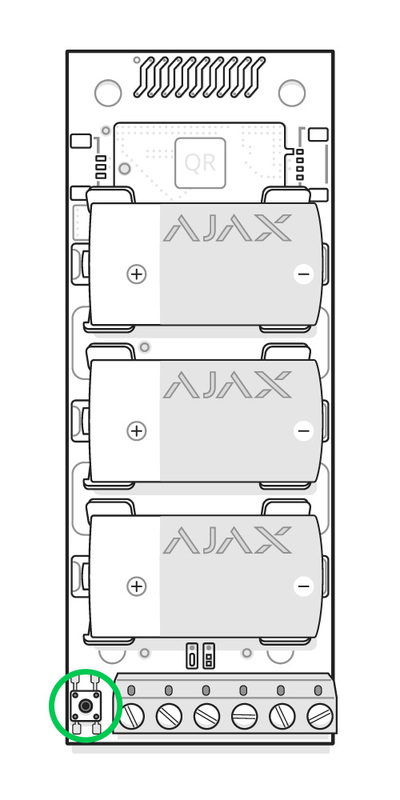 This should be used, if there is a problem in a powering mode of the external detector “Turned off if the Ajax Hub is not armed”. The mode can significantly shorten the battery life of the Transmitter. The ALARM terminal signals when the security system is armed in pulsed mode are processed at most once in three minutes; in the bistable mode, they are always processed. The application always displays the correct information in the Sensor Status line in bistable mode (regardless of the armed mode status). When turned on, the detector connected to the Transmitter will be armed when the partial armed mode is turned on. Whether the siren is turned on during the Transmitter alarm. The alarm zones are connected to the corresponding detector relay zones. The Transmitter tamper zones are started on the detector tamper zones. Since this detector uses 12 V power, it is powered from the outside, using a supply unit or battery. To place the Transmitter inside the detector body, an interior of at least the following size is required: 110 х 41 х 24 mm. If the Transmitter cannot be installed inside the detector body, use an external radiotransparent body. The length of the cable can be up to 30 meters of UTP conductor. For a larger cross-section, a longer cable can be used. Under temperature and humidity conditions that exceed the permissible limits for the device. While selecting the detector installation point with the Transmitter module, the remoteness of the devices from the Ajax Hub and the presence of facilities that prevent the radio signal flow should be considered. 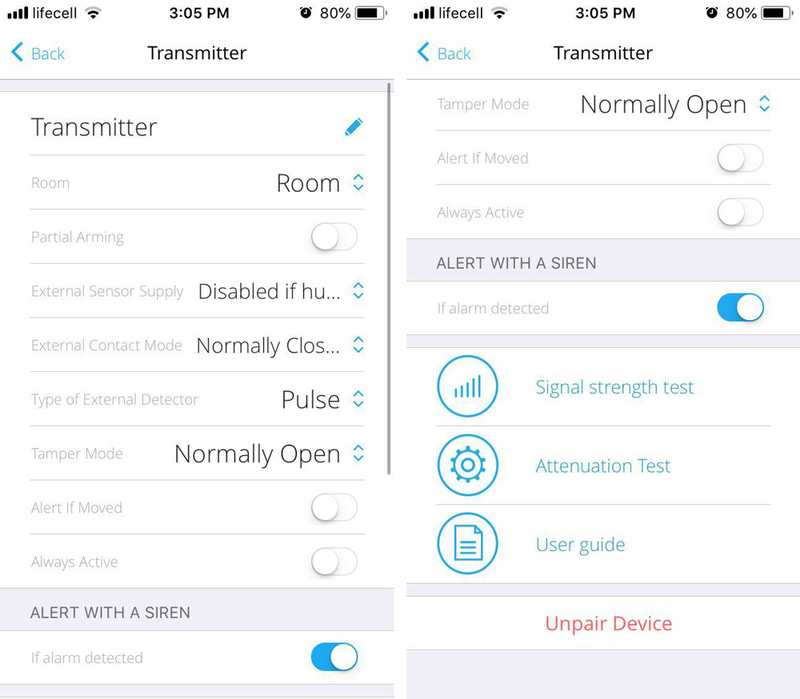 Before fixing the detector and the module connected with the screw, test the Transmitter signal level in the Ajax application.